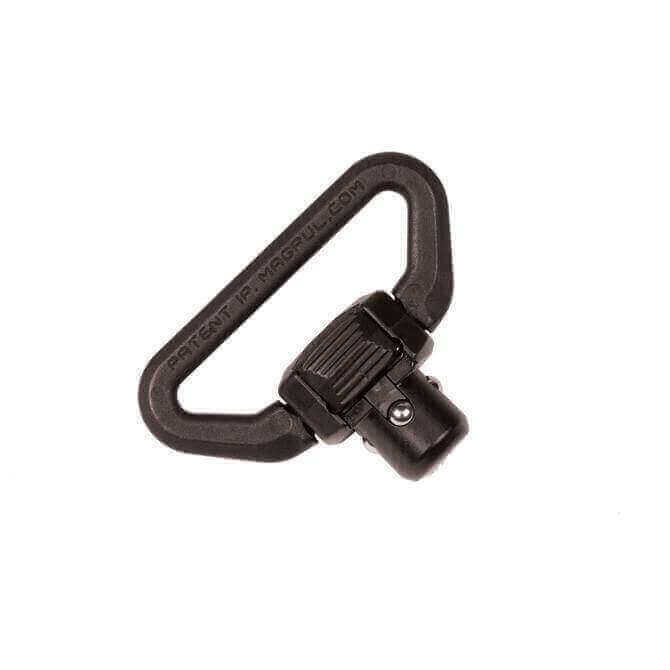 The Magpul QDM is a heavy-duty upgrade to standard push-button quick detach sling swivels. The innovative design allows for a lower profile sling swivel that offers one-handed manipulation, a high strength bale that rotates freely and canalizes sling webbing to prevent rollover, and superior resistance to corrosion with a Melonite finish. Made in U.S.A.